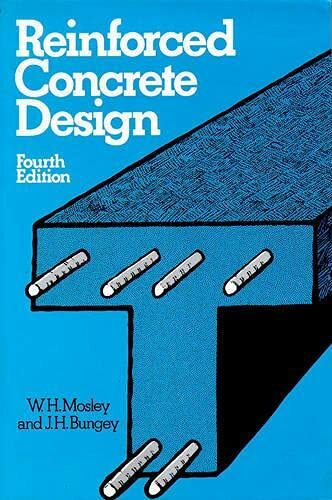 A new edition of an introductory text to the principles and methods of design for concrete structures. Although the detailed design methods generally conform to British Standards, much of the theory and practice is of a fundamental nature, and of use to engineers in other countries. An ELBS/LPBB edition is available. Mosley, W.H. and Bungey, J.H.